Win a two night stay for two guests at Beech Hill Hotel & Spa, with dinner and breakfast on each day served in the beautiful Burlington's Restaurant. From the eastern bank of Windermere, the dramatic views across the lake to the Western Fells are nothing short of breath-taking. This constantly changing scene serves as a living picture postcard of this most beautiful countryside, an eloquent backdrop to the captivating charm that is the Beech Hill Hotel. 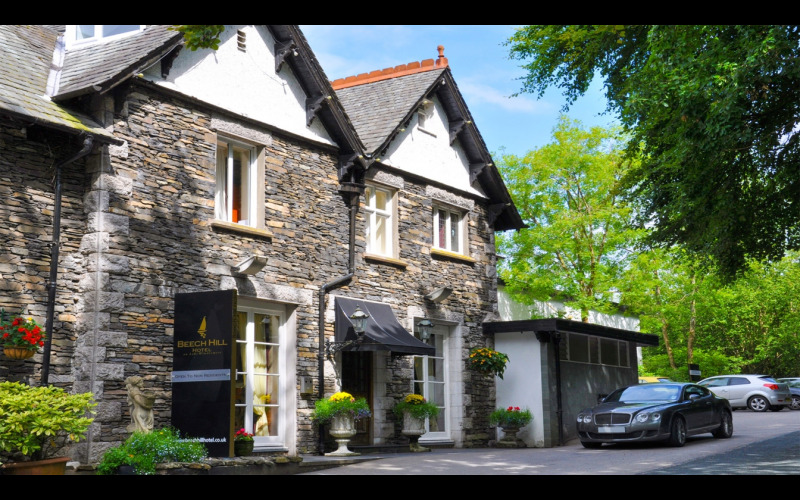 Beech Hill Hotel has 57 bedrooms, many have private balconies or access to the garden, simply open the glass doors, breathe in the fresh Cumbrian air and enjoy the unrivalled views of Windermere. All rooms have as standard; en-suite bathrooms with power showers, Gilchrist & Soames toiletries, flat screen television, telephone, hairdryer, alarm clock and tea and coffee making facilities. If you can put the fabulous views over Windermere to one side for a moment, the undoubted jewel in Beech Hill Hotel’s crown is Burlington’s Restaurant that offers a culinary experience you won’t forget. Beautifully presented, using exemplary locally-sourced ingredients, developing rich and complex flavours, the evening menu offers a complete sensory experience. Burlington's has held AA rosettes for the last 20 years demonstrating the commitment and dedication to sourcing only the freshest, finest & local produce and ingredients to provide guests with the finest dining experience. The prize: A two night stay with dinner and breakfast on each night, for two people!